I have Installed this software, but every time I click on it it fails to respond. Im not sure if it is the virus on my computer. where do i download it can someone send me a link please. 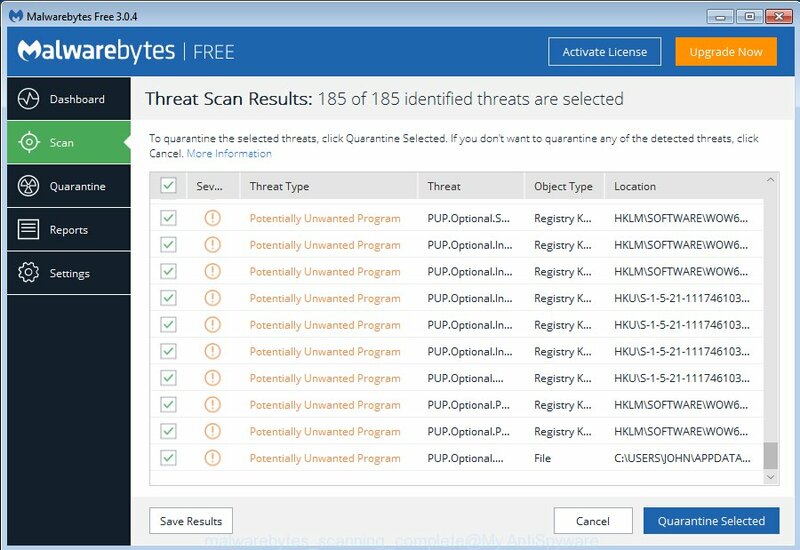 all i have done is used hijackthis from the previous page where some called patrik on the first of january 2011 help me please where do i download malwarebytes. and other question when i did what he said to do whith hijackthis my computer look back to normal besides the internet home page. ok patrik should i download malwarebytes becasue i have already used hijackthis and computer is back to normal what. what should i do. please help me i only need this computer for school tomorrow. Araiya, looks like your PC is infected. Ask for help in our Spyware removal forum. my computer is really jacked up i think its hacked. it wont let me open anything such as microsoft word it only lets me on internet, all the other programs say open file with and it still wont open after that. it wont let me use my antivirus at all………… please help. I have uninstalled it and reinstalled it again using the link in Patrik’s post but still does not work? my system is infected with spyware, and i don’t know how to remove it. Moredays, ask for help in our Spyware removal forum. Hey, sorry if this has already been asked but i couldn’t find it. I was infected with the windows recovery Trojan but seem to have removed it with the software above. However, i still can’t access any of my documents even though when i run a malwarebytes.. scan it seems to be looking through my music, pictures, documents etc. Seems to me they can’t have been deleted? 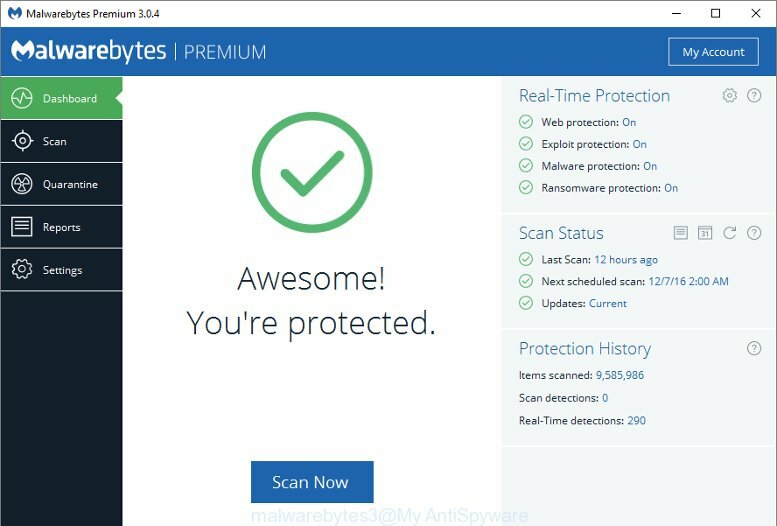 i was infected with xp anitvirus 2011, i’ve downloaded MalwareBytes & got it to scan as well as remove the infected files but i still get pop ups and my computer still runs a bit slow, any ideas why? mei, ask for help in our Spyware removal forum. Thx a lot you saved my day 🙂 Easy to use and worked like a charm. Results speaks for itself – and best of all you dont have to buy the program to delete the malware! Cheers. I copped for the MS Scan virus thing, and following this worked, and seemed to get rid of it. Ran exactly like the directions stated and worked great. Thanks for the help! The MS scan has remove the Win 7 Anti-Virus 2011 on my computer. Thanks a lot …. I have had this on my comp since March and didn’t realise it was a virus. I stupidly paid for it as well. Looks like I have got rid of it now. Thanks so much! 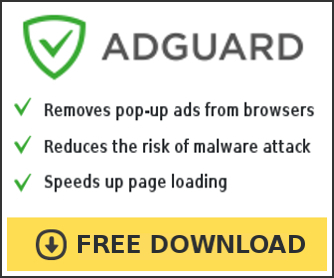 I’m trying to d/l malware but my anti-virus is blocking, what should I do? I need to know I’m d/l the right thing. I need to get this fake XP ANTIVIRUS off my laptop. It’s driving me nuts. It’s just running in the background.